Please enter the required information below so that we may begin your credit application request. Note: Creditor is only licensed to grant credit in Alabama, Florida, Georgia, Mississippi, North Carolina, South Carolina, Virginia and Tennessee and creditor will only offer to extend credit to applicants in Creditors service area. 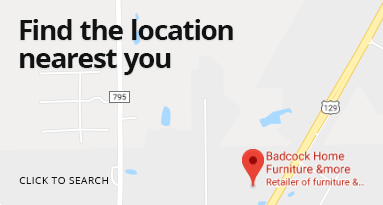 This application should not be construed as an invitation to apply for credit except in those States and those service areas.The delivery address for any purchases on an account must also be within the service area of the selected home Badcock store. **By providing your e-mail address, you consent to being contacted by e-mail until you notify us that you wish to opt-out of such contract. Have you ever shopped with us before?